Portugal is recognized as one of the world’s countries with most favorable conditions in terms of lifestyle, offering considerable tax benefits and extremely attractive provisions for pensioners and retirees. Just imagine living in a country blessed with natural, awe-inspiring beauty, which provides state-of-the-art healthcare facilities for all residents and a wealth of opportunities for you and your family. In 2013, the Portuguese government implemented a new tax regime (Golden Residence Permit (NHR)) that fosters a good climate for investment and innovation. This special tax regime offers tremendous tax advantages, particularly for retired foreigners who want to establish their permanent residence in Portugal. 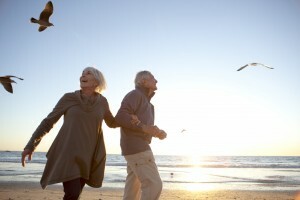 Advantages for Pensioners and Retirees who want to live out their dreams in retirement. This is the perfect timing to choose your dream Portugal Property. By implementing these legal measures, Portugal is giving entrepreneurs, retirees and other liberal professions, incredible tax exemptions, among other benefits, which are applicable to both Portugal-sourced and foreign sourced income. A foreign source income may be fully exempt from tax which means that foreign Pensioners can reside and collect their retirement pensions in Portugal with no costs whatsoever (provided that they qualify for the NHR special tax regime). Regarding inheritance taxes, in Portugal, Stamp Duty is imposed at a 10% tax rate (except for spouses, descendants and ascendants, who are exempt). If you enjoy the idea of spending your retirement in paradise then Portugal is definitely the place for you! Sunshine and the people’s fluency in English have propelled Portugal to be one of the world’s most preferred places to visit and live. This Mediterranean country is a pensioners’ favorite with the obvious merits: it’s close to the major European cities, it has been repeatedly awarded the title of world’s best tourism destination and is a country where any couple and/or family can live comfortably in a luxury ocean-view. Nearly everything about Portugal is convenient, the currency is the Euro, English is widely understood, there’s a great choice of national and international restaurants, and the Portuguese community is extremely friendly and welcoming. Portugal offers incredible public and private health care systems and both offer high standards of care. The availability of medical care is unlimited and the quality of its medical resources is one of the highest all over Europe. The dream of being able to safely walk everywhere, without having to use the car very often, is a reality in Portugal. Portugal country is well known for its safety and security standards, enjoyed by all citizens and visitors. Plus, the cost of living is quite low in Portugal, when compared to other European countries and, there’s always something to do. It’s a small country but with much diversity as far as culture, entertainment, Shopping and leisure activities. 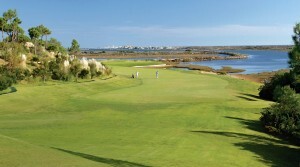 With incredible Golf Courses, beautiful natural parks, internationally renowned sandy beaches and a strong cultural identity, Portugal stands out as a retirement haven of stability and serenity. Now, that you know it, start choosing your Portugal Property, right now.